Mumble rap gets a bad rep. Thanks to the recent Future/Young Thug collab, this year saw the genre get just a little more exciting and whole lot slimier. Dropped in October, Super Slimey debuted eighth on the charts, but failed to rank in my mind as anything more significant than another run-of-the-mill mixtape. Off the top, “No Cap” is barely a three-minute intro and yet, it sets the tone for the relaxed and synth-heavy album to come. Featuring hard beats and haunting backup vocals, the album continues to become an interesting blend of trap-style hip-hop and R&B vocals. In “All Da Smoke,” Young Thug goes solo to demonstrate a wide vocal range which, albeit mostly synthesized, adds a nice touch of variety to the tracklist. By the first Future-exclusive track, “Feed Me Dope,” I was ready for the return to his signature style — a high-hat heavy track with a deep bass line, which I imagine to be hugely satisfying in the car or club. “Killed Before” is perhaps the most stand out song of the album, in which Young Thug creates an acoustic, reggae vibe. Unexpectedly soft, the song is a refreshing break to the tracklist’s otherwise heavy mood. As a mixtape, Super Slimey holds up pretty well, but then again, it’s nothing to get excited about. Overall, Future gives the stronger performance in terms of rap, while Young Thug’s contributions are far more musically interesting. Unlike rap from Aminé or Lil Yachty, the album was dark in tone and listens alone better than with a group. In tone it is similar to 21 Savage, but with the addition of the quick-phrasing style of Migos. Overall, Super Slimey lacks the story-telling of Kendrick, the force of Kanye, and the flare of Chance. However, the collaboration is strong enough that each artist’s style complements the other; the free-flowing melodic style of Young Thug grounded by the Future’s solid rhymes. 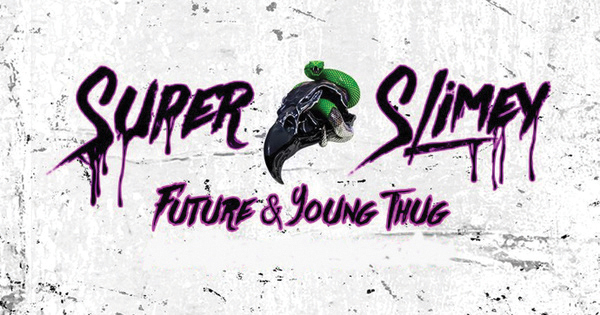 Feel free to give Super Slimey a listen — just don’t get stuck on it. How long must a game be?